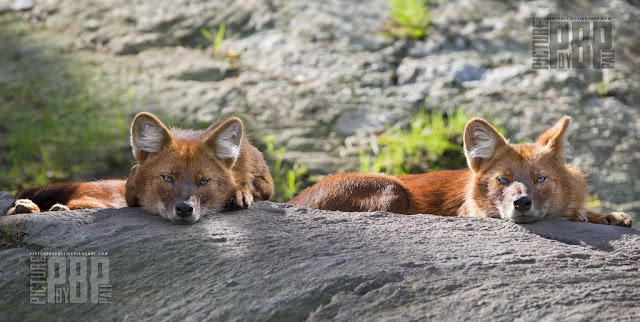 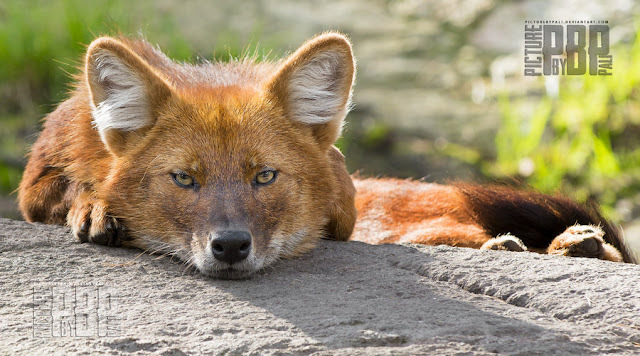 The dhole (Cuon alpinus) is a canid native to Central, South and Southeast Asia. Other English names for the species include Asiatic wild dog, Indian wild dog, whistling dog, red wolf (not to be confused with Canis rufus), red dog, and mountain wolf. It is genetically close to species within the genus Canis, though its skull is convex rather than concave in profile, it lacks a third lower molar, and the upper molars sport only a single cusp as opposed to 2–4. 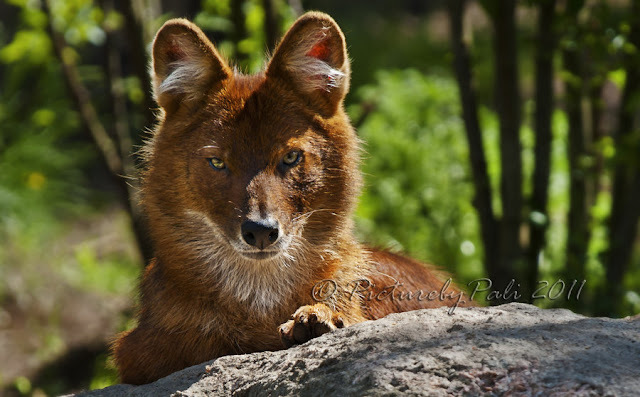 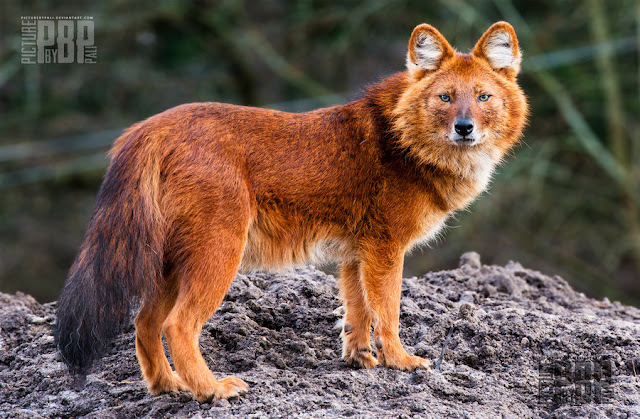 During the Pleistocene, the dhole ranged throughout Asia, Europe and North America, but became restricted to its historical range 12,000–18,000 years ago. The dhole is a highly social animal, living in large clans without rigid dominance hierarchies and containing multiple breeding females. 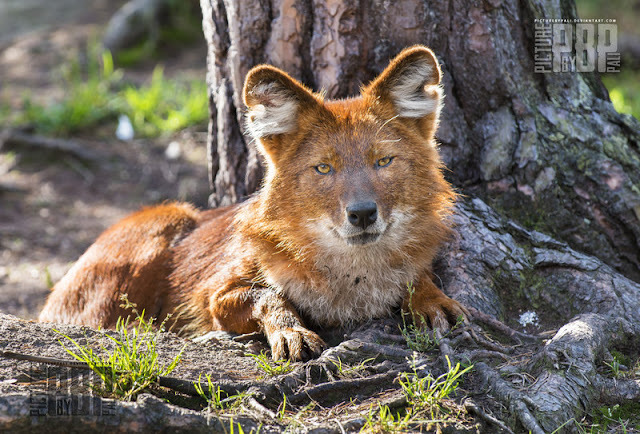 Such clans usually consist of 12 individuals, but groups of over 40 are known. 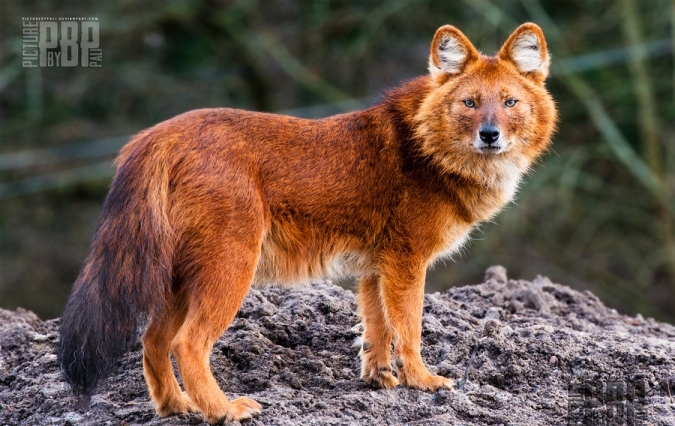 It is a diurnal pack hunter which preferentially targets medium and large sized ungulates. 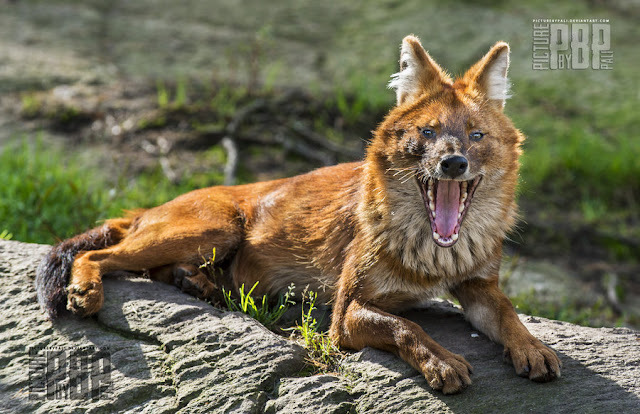 In tropical forests, the dhole competes with tigers and leopards, targeting somewhat different prey species, but still with substantial dietary overlap. It is listed as Endangered by the IUCN, as populations are decreasing and estimated at less than 2,500 adults. 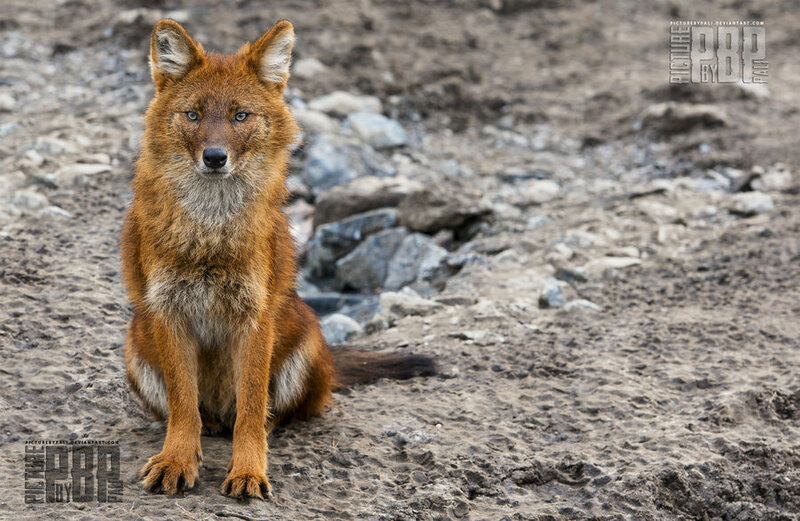 Factors contributing to this decline include habitat loss, loss of prey, competition with other species, persecution, and disease transfer from domestic dogs. 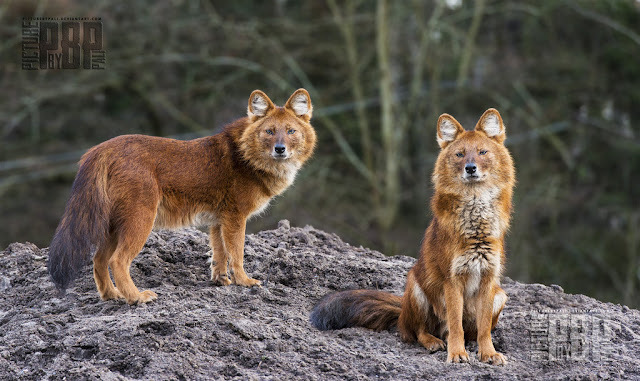 Responses to "Meet The Amazing Looking Mountain Wolf (The Dhole) From Asia"
I wonder what their contribution has been to the dog genome. 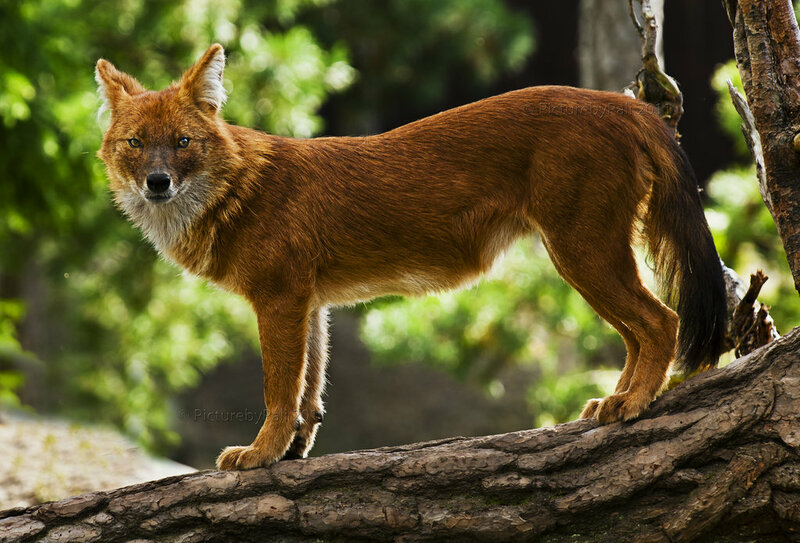 A few weeks ago, in June 2016, I am positive I saw one being 'chased' by a Golden Retriever across the distant field (not too distant, about 300 feet) and I could not figure out if it was coyote-cross, dog-coyote, that red color..yes, I saw this post on Facebook and yelled out loud "There!!" 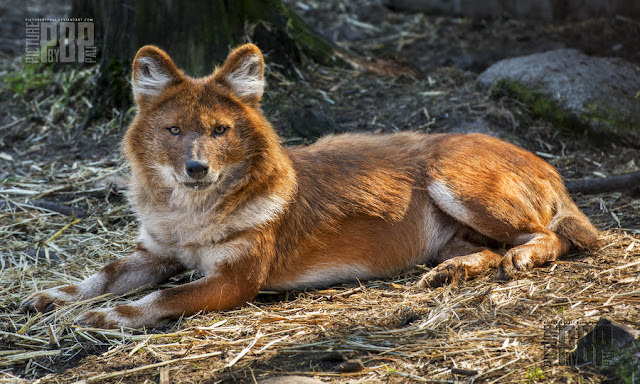 when I saw how it looked just like the animal I watched running across from right to left of me...I am in Bruce Mines, Algoma District, Ontario, Canada.